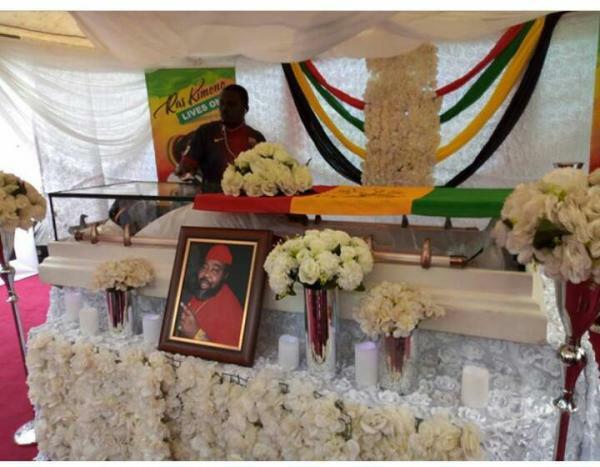 AMAZING STORIES AROUND THE WORLD: Nigerian Musicians Pay Tribute To Legendary Reggae Star, Ras Kimono As His Burial Rites Begin. As each artiste took turn to pay tributes to the late reggae icon, tears flowed endlessly especially when they recollected their last encounters with Kimono. The Rasta community in Lagos was also on hand to pay tribute to one of theirs and they also took turns to pray for him during the lying in state. During his tribute, Kimono’s manager, Daddy Faizer, also dispelled certain speculations that Kimono might have been battling a serious ailment resulting in his demise. He said that the singer underwent a medical test about three weeks prior and that his doctors had said he was in good shape. While fielding questions from the media at the venue,the General Manager of Copyright Society of Nigeria (COSON), Chinedu Chukwuji, said, “Ras Kimono was not just a COSON member, he was a 100 per cent committed member, totally dedicated to the cause.As a hyper creative person, he fought against anything that will destroy COSON as he saw the organisation as a watershed development in our country and an important legacy for the Nigerian creative industry.